UJET is a company that provides customer interaction platform by helping providing customer serve and help compose retain customers, make their call centers operate more efficiently and save them money. I joined UJET marketing design team. I worked closely with the lead marketing designer to help maintain a list of ongoing projects, including social media graphics, bringing solutions and new ideas to the table to its branding. With the growth of UJET, we were actively joining conferences to attract potential clients. I created layouts and graphics for marketing collateral including pitch decks, white papers, physical promotional materials etc. I made custom illustrations to extend UJET iconography, working alongside leader designer to refresh UJET brand standards and illustration style. We want to better present UJET, what it does, and how it can help other businesses improve their current customer service. We did market research on its competitors and gathered a mood board on future direction. I redesigned its wireframe based on the meeting outcome. The redesign is more clear about its message. I improved the design by emphasizing on its actual product, and its benefits; moved Contact Us form on the bottom of page to allow potential clients to connect with UJET right away. Attract and engage more potential clients, better support the company brand. Highlighted existing customer relationships by moving customer logos to a prominent spot on the front page to promote credibility. The design team is open and welcome for new ideas for our illustration and graphic styles. I created an illustration to present where UJET sits in CRM. I first did competitors research, then searched for new inspirations, finally I created four distinct mood boards. 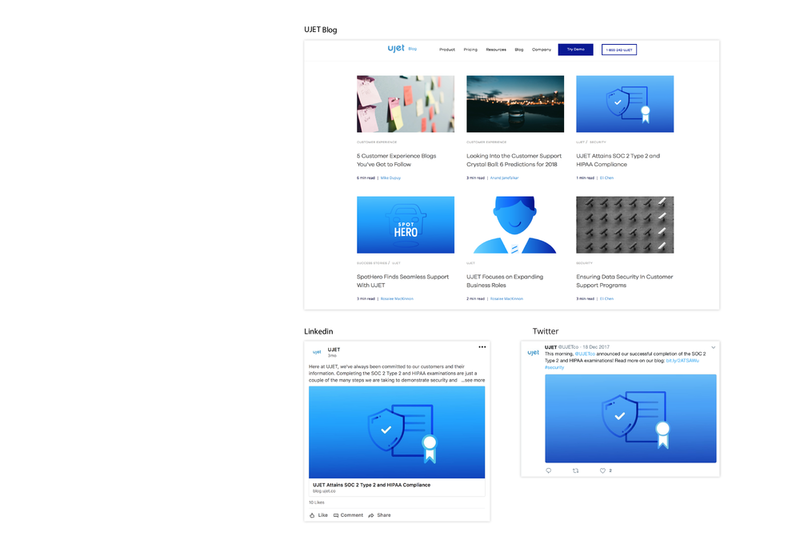 In the end, we chose to aim for a simple, modern style for the new UJET brand. Here is my final design exploration. With my specialty in photography, I was also asked to help capture UJET culture. I was happy to contribute my photography skills to help them create a more friendly and human image for UJET brand. All photos were shot during a company happy hour.